Christmas is almost upon us and the Holy Town of Bethlehem is anything but still. For almost five years now the Israeli Army has been building an enormous concrete wall around and through the city, carving up neighbourhoods and cutting off local Palestinians from generations-owned land and from food and medical supplies. Leila Sansour has been documenting the expansion of the wall and the impact on Bethlehem’s citizens for her new film The Road to Bethlehem, now in final stages of editing. This Christmas, to highlight the emergency facing Bethlehem’s community, Tipping Point Film Fund will be showing Leila’s first feature documentary film (also shot in Bethlehem) Jeremy Hardy versus the Israeli Army, in London and in Edinburgh. Both screenings will be followed by a panel discussion and include a short preview clip of The Road to Bethlehem. For screening details see the end of the page. Jeremy Hardy versus the Israeli Army follows the Radio 4 comedian in 2002 as he travels to Israel and the Occupied Territories to team up with members of the International Solidarity Movement (or ISM), where he engages in non-violent direct action to challenge the occupation. The Lexi Cinema, 194 Chamberlayne Road, Kensal Rise, London NW10 3JU.XBuy tickets online or call 0871 704 2069. 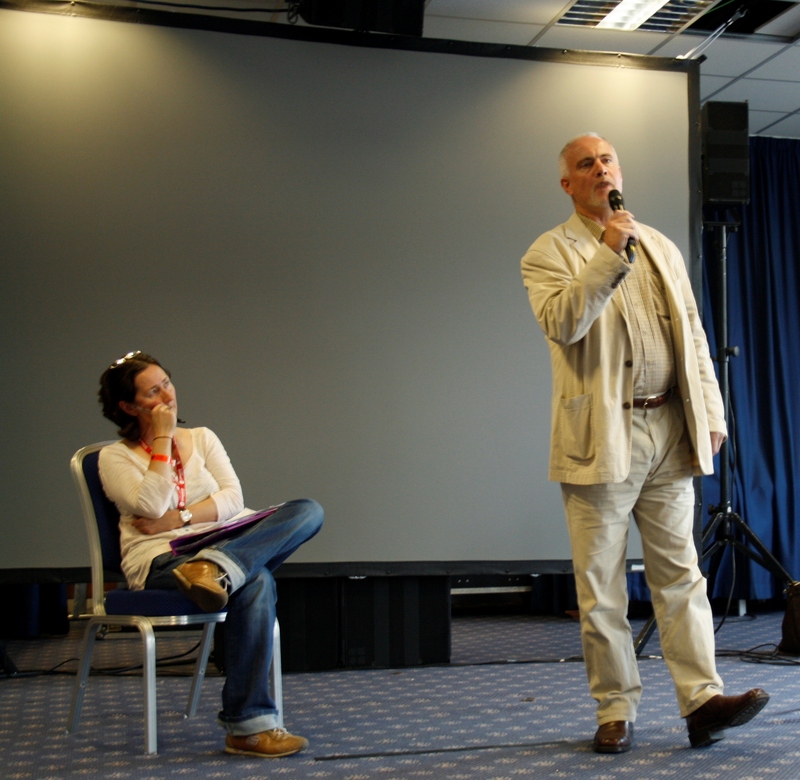 Tickets cost £10 but are free to TPFF regular givers and annual donors of more than £60. All tickets include a lovely Christmas mince pie and glass of something special. If you work for an NGO you can purchase two tickets for the price of one by emailing info@tippingpointfilmfund.com from your work email address. The post-film discussion will ask the question: As we approach Christmas, and the Israeli ‘separation wall’ continues unabated to encircle the town, what future is there for Bethlehem? The panel, chaired by TPFF, will include Maxim Sansour, brother of the director Leila Sansour. Maxim is a character in her new film, The Road to Bethlehem, supported by TPFF and released next year. Buy tickets online or call 0131 228 2688. Tickets cost £6.90 (£5.20 conc) but are free to TPFF regular givers & annual donors of more than £60. For details of how to get there. 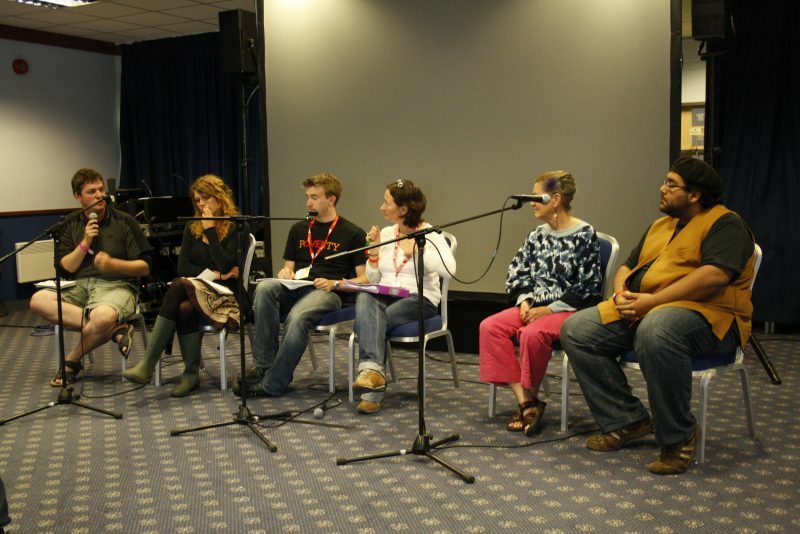 Filmhouse panel includes: Michael Marten (academic and chair of the Scottish Palestinian Forum), Maureen Jack (vice chair of the Scottish Palestinian Forum and member of Christian Peacemaker Teams), the Rev Clarence Musgrave who has lived and worked in Jerusalem, and Deborah Burton, Co-founder of Tipping Point Film Fund. We’re back from the Greenbelt Arts Festival in Cheltenham and it was full-on as ever, but very rewarding. 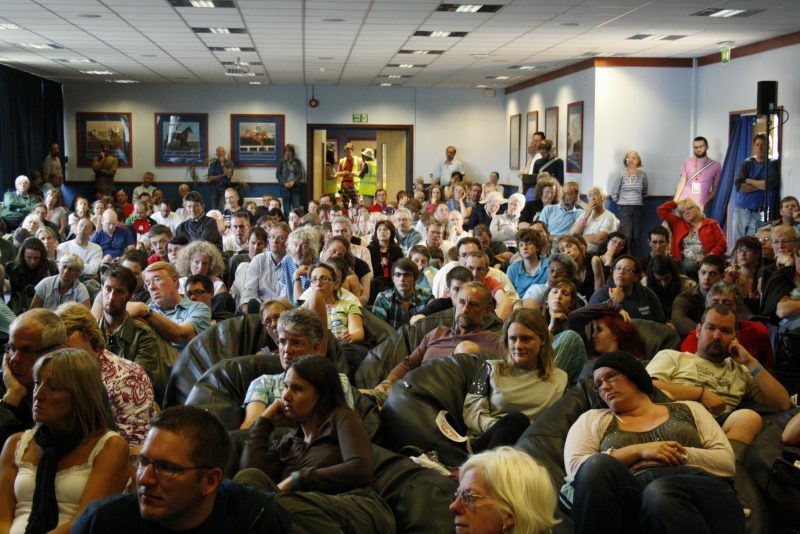 Greenbelt is a great audience, packed with all kinds of people who really care about political issues, social change and campaigning and who want make big change happen – just like we do! We screened four films, each followed by a live panel debate or Q&A! In case you missed any of them we’ve written a little round-up below. We’ve also posted some photos and a great clip from Jeremy Hardy – talking about Tipping Point Film Fund and The Road to Bethlehem. We’ve got loads of content still to upload – so watch this space! Thanks to Dogwoof and Good With Film for The Vanishing of the Bees, Burma VJ and The Yes Men Fix the World. We had a full house for The Vanishing of the Bees followed by a great talk from Phil Chandler – author of The Barefoot Bee Keeper. Phil describes his book as ‘a challenge to the status quo [and a read] to stimulate both actual and potential beekeepers to think for themselves and ask questions’. He talked with first hand knowledge – and with deep passion and energy – of how and why the phenomena of bees and ‘colony collapse disorder’ is directly linked to the way our food is produced (chemical overload, monoculture, agri-business lobbying). Visit Phil’s site www.biobees.com to learn more, or to take action visit The Co-operative’s Plan Bee. 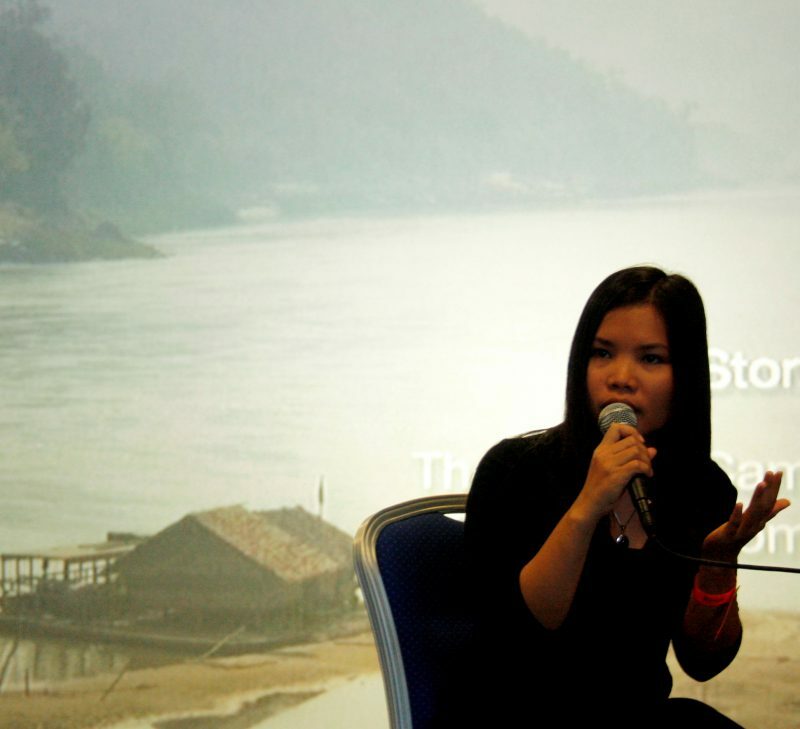 After the film, Zoya Phan – a 28 year old ethnic Karen refugee – spoke about her own experiences as a teenager fleeing the regime. She now lives in London and works for human rights organisation, The Burma Campaign UK. In an incredibly moving presentation, Zoya spoke about the extent of human rights abuses perpetrated by the regime – including the assassination of her father and assassination attempts on her own life; the need for the international community to keep pressure on Burma as well as its trading partners; the need for a Global Arms embargo as well as for the UN to agree to implement a commission to investigate Crimes against humanity in Burma. To find out more visit The Burma Campaign UK, buy a copy of Zoya’s autobiography Little Daughter or visit the The Phan Foundation – set up in memory of Zoya’s mother and father, the Phan Foundation works to alleviate poverty, promote education and preserve the culture of the oppressed ethnic Karen people. Jeremy Hardy turned up on Monday morning to a very warm welcome from the Greenbelt crowd. In fact the venue was so full that even Jeremy himself had to queue to get in! 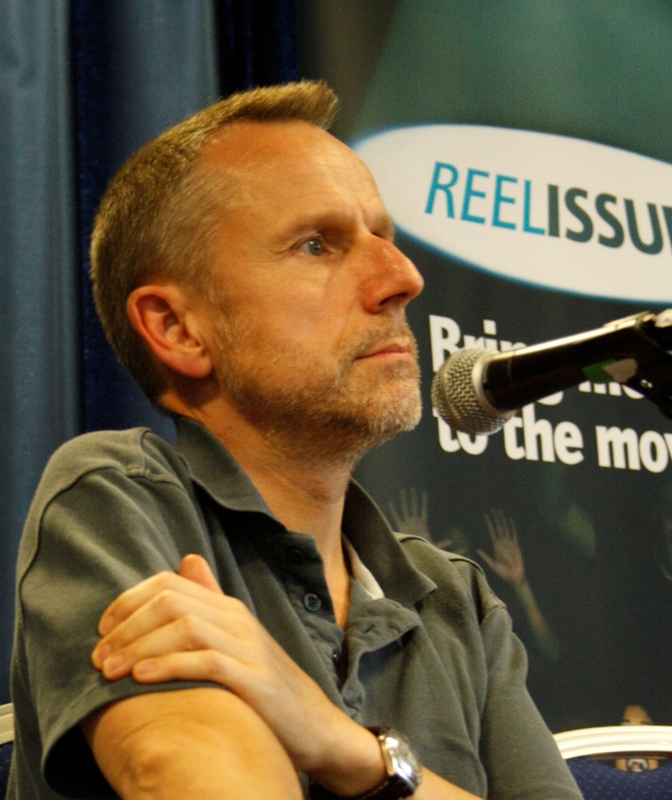 After the screening of Leila Sansour’s first film ‘Jeremy Hardy versus the Israeli Army’, the Radio 4 comedian spent more than an hour in a lively post-film discussion, updating the audience about the individuals in the film (International Solidarity Movement) and the issues affecting the West Bank and Bethlehem in particular. We’ll be posting clips of the discussion here on our website but in the mean time, see what Jeremy had to say about Tipping Point Film Fund and Leila’s new film ‘The Road to Bethlehem’.